How much sleep do you really need? And why do some people sleep less than others? Can you get just a few hours of sleep and still be healthy? In the age of Netflix and Starbucks, these are relevant questions, especially for young adults and teens, who are notorious night owls. As humans, we have an intuitive understanding of the necessity of sleep, but, in reality, scientists aren’t sure why we need it . It has, however, been theorized that sleep helps our nervous and immune systems function properly, as well as establish good eating patterns. Although these estimates are good guidelines, they still fail to satisfy those who want a concrete, be-all-and-end-all answer. There’s no single way to define the perfect amount of sleep. For example, a person may need different amounts of sleep at different points in their life. There are many factors that influence a person’s sleep that these estimates can’t account for, like stress and illness. Experts have even disagreed on how much sleep older adults need—less or more than younger adults? Two people who lead the same lifestyles may need different amounts of sleep. If you asked a thousand people how much sleep they thought they needed, you could get a thousand different answers. Moreover, the ways in which people sleep can vary. Most people sleep in large chunks of time, at night. Others take smaller naps throughout the day, doing activities in between. Even though there’s no set amount of hours for sleep, scientists do know what can happen if you don’t get enough of it. Studies have shown that sleeping consistently for less than five hours a night can lead to hypertension and other cardiovascular diseases. In 2015, researchers at the International Journal of Hypertension published a review article of nine studies on this link. The link between sleep deprivation and cardiovascular diseases can be explained in terms of endothelial dysfunction and sympathetic activation. It sounds complicated, but we’ll break it into smaller steps. The endothelium is a thin layer of cells that covers the internal surface of blood vessels; the endothelial cells maintain balance in these vessels by causing the underlying muscle cells to constrict or dilate in response to change. Endothelial dysfunction happens when something causes an imbalance in activity in the endothelium—producing reduced dilation and increased constriction. In one study, which examined fifteen doctors on 24-hour shifts, showed that thirteen of them had reduced vessel dilation, and five of them had no dilation at all. This study attributed the difference in endothelial function to stress, which is an activation of the sympathetic nervous system. The sympathetic nervous system is one of the two nervous systems that control the body’s unconscious actions. This system serves to increase the heart rate, constrict blood vessels, raise blood pressure and, overall, control the body’s stress response. Over-activity in the sympathetic nervous system—from being awake for long periods of time—has been a proposed link between sleep deprivation and endothelial dysfunction, specifically in vessel constriction. Despite this, there still remains to be seen whether sleep deprivation is a cause of, or simply associated with, endothelium dysfunction. Less sleep also predicted a long-term increase in blood pressure, along with the onset of hypertension. Moreover, “each hour of reduction in sleep was associated with a 37 percent increase in the odds of developing high blood pressure”. Sleep deprivation has also been associated with lower alertness, which can cause driving accidents. Excess sleep, on the other hand, can be a symptom of depression, kidney or liver disease or a sleep disorder. 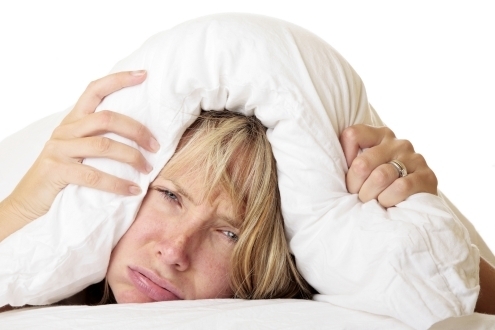 So, how do you avoid health issues stemming from sleep deprivation? Mental Health Canada suggests a few ways: exercise frequently, but not before bed; not lying awake in bed; avoid caffeine, nicotine or alcohol; and sleeping until sunlight. Despite the research and the vague estimates, one thing’s for sure: we need sleep, so make sure you’re getting enough!